REESE Towpower<sup></sup> marine winch has a zinc-plated finish for superior corrosion resistance. Gears are made of high carbon steel to SAE 1050 specifications to resist wear and last longer. The comfort grip handle makes it easy to hold while cranking. Full-length drum bushing and oil impregnated shaft bushings minimize maintenance. This Husky 3-Ton Garage Jack combo are great for everyday garage service and heavy-duty industrial use. It is crafted with heavy-duty steel to help ensure strength. It features a 6,000 lb. load rating and has a built-in safety overload system that prevents use beyond its rated capacity. The jack is ANSI certified and is 100% factory tested for reliability and safety. Heavy Duty Bow Shackle is recommended for all Winches. The bow shackle consists of a threaded removable pin, and an O shaped loop at the top to take loads from many different directions. The isolator stop annoying rattles and protects your bumber. The working load limit is 9,500lbs. 1,500 lb Winch w/Strap & Hook REESE Towpower<sup></sup> marine winch has a zinc-plated finish for superior corrosion resistance. Gears are made of high carbon steel to SAE 1050 specifications to resist wear and last longer. The comfort grip handle makes it easy to hold while cranking. Full-length drum bushing and oil impregnated shaft bushings minimize maintenance. 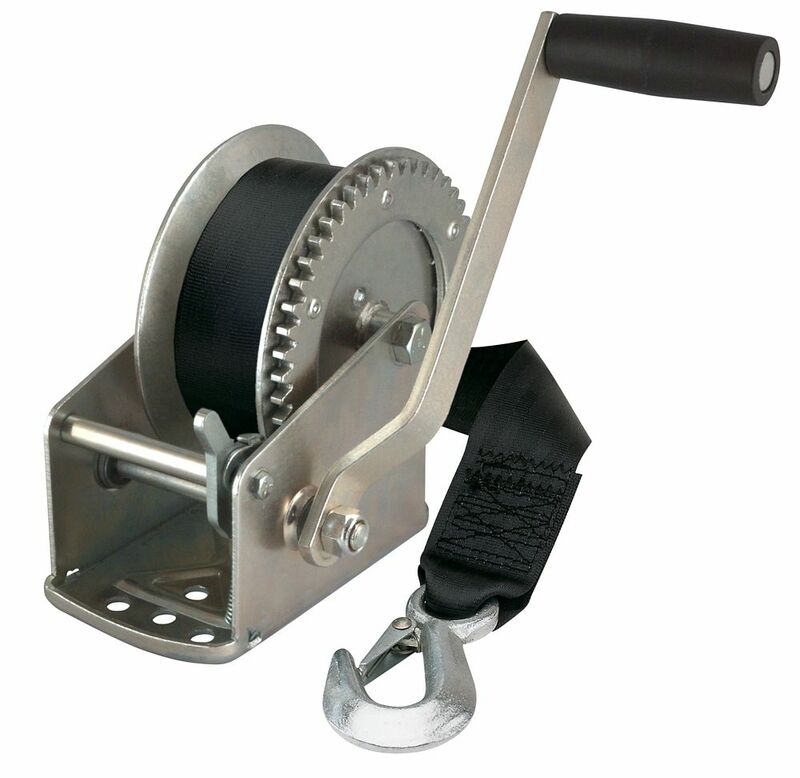 1,500 lb Winch w/Strap & Hook is rated 4.4 out of 5 by 7. Rated 5 out of 5 by Patty from I installed in my attic so I could lift &... I installed in my attic so I could lift & lower things by myself. It works perfectly! Very happy with this and how well it works. I use a cargo net so I just wrap the strap thru the openings of the cargo net, no problem! As long as the object can fit thru the opening, I can move anything by myself. Rated 4 out of 5 by J3nor17 from Boat winch It is good value for the money,easy to install. Use it several times since I installed it i'm glad I Purchased it. Rated 4 out of 5 by Macrodot from Worked as described. Only drawback is mount holes are... Worked as described. Only drawback is mount holes are underneath the unit making it tricky to screw/bolt down. Rated 5 out of 5 by Rick from worked very well.I put it through the test! worked very well.I put it through the test! Rated 5 out of 5 by Geo from Good Winch Easy to use, with lots of mechanical advantage. I am using it to lift things in my shop, but it is actually intended for use on boat trailers, so it'd be best not to stand under what you are lifting. This is the second one I bought. Both are in use regularly. Rated 3 out of 5 by MusicandMoney from Strong webbing and clean machined metal Pro: strong webbing, and clean looking product. Con: Extremely low gear ratio- you have to crank and crank and crank to get any where with this winch.